The summer of 2016, between the French Euro and the Brazilian Olympics has demonstrated once more to what extent sport has become an important showcase for contemporary nation-states. Not only for the hosts, but also for the participants (ask the Portuguese or the Icelanders, the British or the Jamaicans). The historians of nationalism have well shown that already at the end of the 19th century, governments of all kinds quickly understood the benefits in terms of prestige and recognition that they could reap from this popular activity which gave centre stage to individuals or teams supposed to represent the national body. The benefit was (and is) twofold, as sport has always served two major purposes: highlight the competitiveness and performance of the nation, as well as consolidate, with the help of sport’s emotional power, its collective identity. This political use of sport has hardly changed over time. The vocabulary, however, has. The intangible resources of cultural influence or internal cohesion that may be accumulated thanks to the different levers of ‘sport diplomacy’ are now often referred to by the term ‘soft power’, which has made its way from political science to mainstream media. 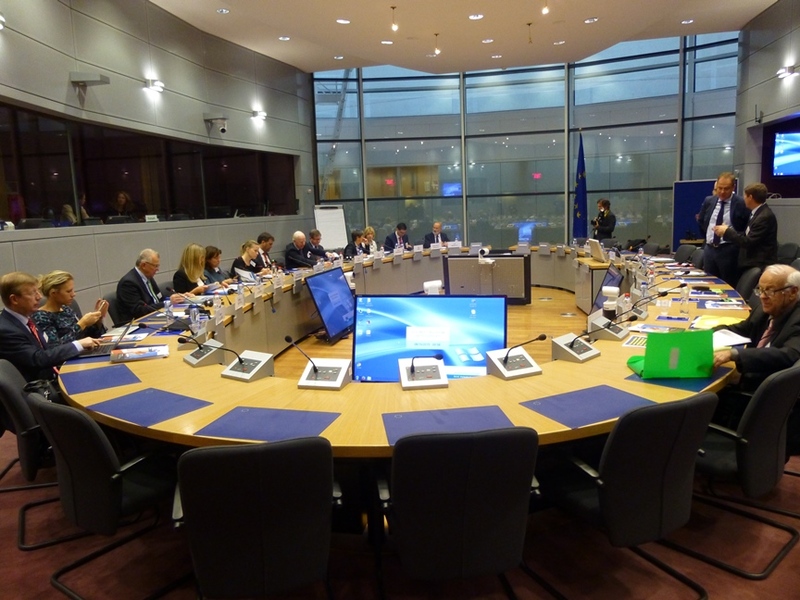 The high-level group at work in the Berlaymont. If virtually every more or less developed nation-state has a ‘sport diplomacy’, should the European Union have one, too? The question was put on the table by the Lisbon Treaty which gives the European Union competence in sporting matters. It is thus not surprising that over the last academic year Commissioner Tibor Navracsics set up a high-level expert group to discuss the matter in a series of meetings between October 2015 and June 2016 and submit a report with their conclusions and recommendations. I am relieved to testify that the objective of a European sport diplomacy, if ever there will be one, will NOT be to challenge nation-states on their favourite playing field: sentiments, flags and sporting performance. It is true that in the mid-80’s the ‘Ad-hoc Committee on a People’s Europe’ (whose final document is also known as the ‘Adonnino report’) suggested to the European Community to seize sport’s potential to move people and bring them together. Among other things, it proposed the ‘organisation of European community events’ for certain sports, the ‘creation of Community teams’, or the invitation to ‘sporting teams to wear the Community emblem in addition to their national colour’. Today, such propositions sound somewhat naïve at best, outright counter-productive at worst. They were based on a conceptual mistake. As we all never tire of telling our students, the European Union is a ‘sui generis’ entity: it is not, and has no ambition to become a large nation-state, and it has no interest whatsoever to take inspiration from the mechanisms of classical ‘nation-building’. It is of course legitimate for any enthusiastic promoter of European integration to have the desire to see Europe ‘loved’ by its citizens, and it is true that without citizens’ support for a common project there will be no sustainable solidarity among them. But the EU would be well-advised to avoid falling into the ‘identity trap’ and resist the ever-present temptation to instrumentalise sport in order to ‘build a European identity’ or ‘provoke feelings of belonging to Europe’. Its identity will derive from the legitimacy that citizens are willing to grant it, and this legitimacy will be based on a strong credibility with regard to the values it wants to embody. A smart European sports policy would not copy or imitate what is already done by the nation-states, but provide a tangible added value to international sport. The Union definitely has the potential for it, precisely because it is not a nation-state pursuing interests of national prestige. On the contrary: it can become a respected actor, patiently defending high ethical standards and the fundamental, universal values of sport. Comments Off on Does Europe need a sport diplomacy?